You want vacation in a private and relaxed atmosphere? You want to live optimally - cozy and familiar, stylish and comfortable or very exclusive? Then a holiday home is the perfect vacation home. 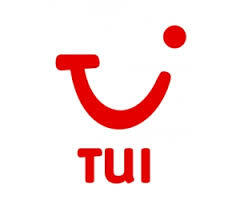 TUI house offers more than 15,000 holiday homes, holiday cottages and apartments in attractive holiday countries such as Germany, Italy, France, Holland, Croatia, Norway, Austria and Sweden. Especially popular holiday destinations like the South of France, Brittany, Lake Garda, the North and Baltic Sea and of course the Tuscany are prominently represented in the extensive range. This includes, of course, are also numerous deals with private pool, private sauna or a fireplace. too for the winter holidays, you are sure to find the perfect holiday home right on the trail or on the ski lift. If your next winter vacation in a ski resort as Sölden, Schladming or Zillertal take place, then you warm but at a ski lodge in the beautiful ski resorts in the Alps. In Tentholidays you can find holiday homes in every price range. Browse our bargains and last-minute deals, and explore our world-class offerings. In addition to an optimal price-performance ratio will find you and your family with children or with your partner your vacation home as desired. For families we offer Holiday homes and apartments with playgrounds and sports facilities, large swimming pool and child care, entertainment and activities such as surfing, horse riding, cycling, table tennis, billiards or minigolf. Families can spend their holidays on the farm or in Astrid Lindgren Sweden. Even large families find in many European countries the perfect XXL House at an attractive price. For active families, the holiday parks with a varied offer active and generous bathing landscapes offer. You want to travel with your partner? Then you will find Tentholidays a wide range of holiday villas and apartments to feel good for couples. Whether active vacation, spa vacation, de Luxe, beach vacation or holiday with dog - here you are guaranteed to find the perfect vacation home. If you are traveling with lots of friends, but do not want to give up your privacy, book a XXL-house for more than 8 persons, in the space and freedom for all is available. In addition to an affordable holiday home for vacation on a tight budget you will find the perfect luxury cottage with equipment for the sophisticated taste. Find out their favorite premium cottage and discover real gems and oases of comfort for the best weeks of the year. Looking for a house or apartment with luxurious finishes and in excellent prime location you will find this under the label premium. We give very special holiday moments! Individual guest requests such as a holiday home for vacation with your dog or even for fishing holiday in Norway and Sweden are available in a diverse selection. The location of the holiday residence you choose at Tentholidays according to your taste: Book the Toplage same with this: Whether this vacation house beach, condos oceanfront vacation house rental or apartment for city break in between - the choice is yours. Opt for example, for your dream apartment on the Baltic Sea, North Sea, on the Adriatic Sea, on the Côte d'Azur or in Croatia. The sound of the sea is included and the water is right outside the door. Discover the benefits of a vacation villa, near the beach. Pick from a holiday home with large pool area or an extended pool area. For your family holiday with real swimmers and lots of water fun you will find a vacation home with pool and the popular caravan park with water slides, many swimming pools, children's pool, children's club and animation program. Whether suitable for families and with a lot of action or in peaceful countryside with panoramic views over the surrounding countryside - here the right one for your taste. From Norway to Cyprus, from Ireland to Poland - in almost all European countries you can make in a TUI holiday home vacation. You reach your destination easily and quickly with your own car or by plane. Special travel in extravagant villas: individual holidays in spacious villa in Florida / USA or in an exceptional vacation home or a special holiday home as in floating cottages, houseboats, in lighthouses along the coast or windmills in France. A special highlight is your second vacation in Holiday Cottage with friends or. TUI house offers relaxing and nature holiday in the countryside, where you can learn about the culture and country and people. Under the new product line LandLust you find a house with a special atmosphere and a location close to nature, which meet the demand for upscale holiday surrounded by nature. Here you will find the perfect apartment in the city for your city break. Rome - Paris - Berlin - Vienna - city breaks are all the rage. Visit. Most beautiful cities at super low prices and book for the next city break your centrally located apartment There is so much to discover and the offer of apartments including in Barcelona, Nice, Inverness, Aberdeen, Venice and Cannes ranges from cheap holiday apartments through to Apartment de Luxe. Whatever claims you make on your vacation - With Tentholidays You will find holiday homes and apartments to suit your own individual needs.